The Sketchley Grange is a 4* family friendly hotel in Leicestershire. We stayed there for a night, with our 4 year old and 2 year old, as part of the Stay, Play and Explore package run by Go Leicestershire, which offers 1 night accommodation and tickets to 3 out of 5 family friendly attractions for just £129. The Sketchley Grange hotel is an impressive hotel on the edge of the quaint village of Sketchley in Leicestershire. 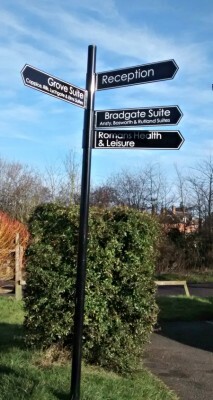 The hotel is approximately 30 mins drive from the National Space Centre and Conkers and within easy driving distance of Twycross Zoo, Snibston Discovery Centre, Stonehurst Family Farm and Twinlakes theme park. We arrived at the Sketchley Grange after a fun, but busy, day at the National Space Centre. Both boys were tired and we couldn’t wait to arrive at our hotel and relax. The hotel did not disappoint. 5 minutes after arriving we were checking into our Executive Room overlooking the manicured gardens and green countryside. First impressions count, and I was very impressed when I opened the door to our room. It was massive. There were 2 king size beds and a travel cot with bedding which was already made up. There was a glass desk with a chair, flat screen TV and plenty of wardrobe space. The bathroom was large with a walk in shower, double ended bath and toiletries. 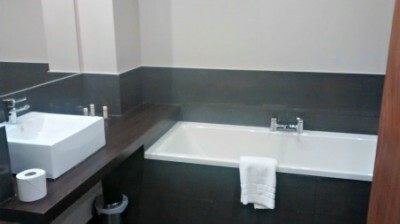 The bathroom felt very classy with grey slate tiles on the floor and walls and thick white towels. The room had a contemporary feel to it and had clearly just been refurbished. There were 2 red velvety chairs by the TV, bright spotlights in the ceiling and thick, full length curtains against the window. There was a Juliet balcony overlooking the gardens and surrounding fields. There was 4 hours of WIFI free of charge at the hotel. We sat down for about 5 minutes before the boys were asking if we could go swimming. The Roman Leisure Centre is the hotel’s swimming and sports complex. It resembles a roman bath and has a large swimming pool, jacuzzi, baby swimming pool, steam room and sauna. 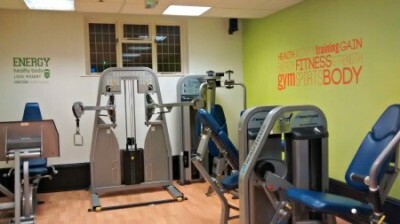 There is also a fully equipped gym which I made use of when the boys were in bed. The hotel’s leisure facilities are fantastic. Children are allowed in the swimming pool from 8am – 11am and from 3.30pm to 7pm. Hotel guests get complimentary towels and lockers so you don’t need to bring these with you. After dinner, we all headed back up to our room because it was such a pleasure to be in. The room was lovely and quiet too which meant that we didn’t wake up until 8.45am the next morning. I don’t mind admitting that it has been a LONG TIME since I’ve ever had a lie in until this time, so it just shows how comfortable the beds were and how quiet the hotel was! Breakfast was a really treat at the Sketchley Grange. It is served between 8am and 10am so we just made it in time! 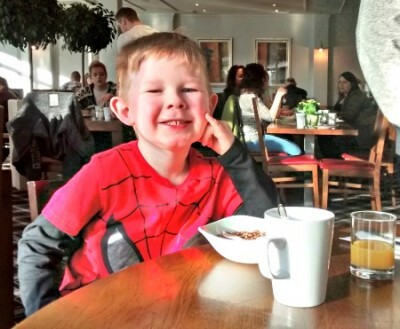 There was something for everyone – cooked breakfast for my husband and cereal and toast for the boys. Cheese, ham and Danish pastries were an extra treat! 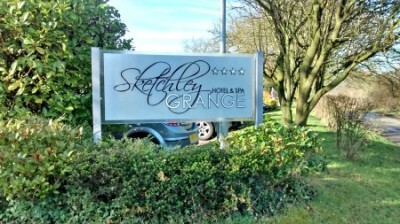 We really enjoyed our stay at the Sketchley Grange Hotel. 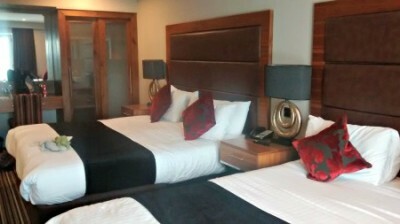 The hotel is very family friendly – the Executive Rooms are spacious, and would definitely be big enough for a family of 5. The leisure facilities including the baby swimming pool are a real treat too for children and parents. I’d really recommend this hotel to families looking for somewhere child friendly to stay in Leicestershire where they have easy access to all the world class attractions in the area. Sincere thanks to the Sketchley Grange Hotel for our stay.